In our Bargain Corner you will find interesting offers! You are welcome to visit us to see and try the machines. Do not hesitate to contact us for an appointment or a nonbinding offer. Machine for scuffing the joints when producing flexible and coated abrasive belts. No compressed air needed for the operation with the mechanical clamping device. Table is moved by hand from right to left. – Empty space that can be equipped with a diamond aggregate working from the top (on request). – Aggregate type C: working from the top against a hard metal plate, with an abrasive belt on a parallel basis. The aggregates can be easily delivered in the working process. Built-in connection pipes for aspiration. Table model without pedestal (pedestal available on request). Machine frame with two feet. Aggregate type D: working from the top against a hard metal plate and a diamond cup wheel included. Standard electric supply 400 V – 3 ph – 50 Hz (to be confirmed please). 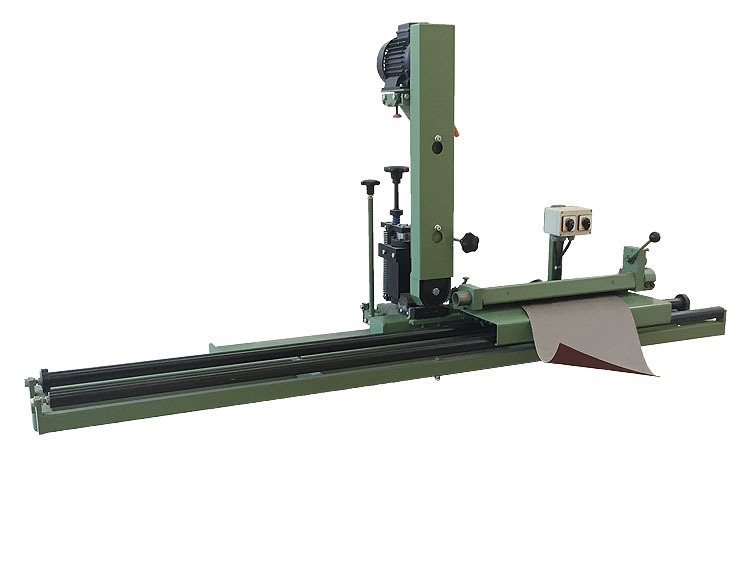 General technical information can be found on Skiving machine type SKZ. Contact us for a nonbinding offer.